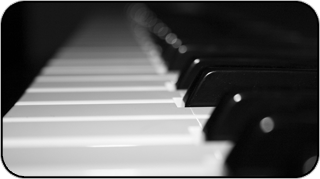 With a well-tuned piano you’ll be free to concentrate on music – your music. So we recommend that you tune your piano twice a year which, unless you’ll be playing intensively, will ensure your instrument sounds its best. Tuning simply means adjusting the tension of the strings so that the 88 sounds (88 notes) vibrate at the correct frequency. We can use a reference frequency of A=440 or A=442, according to your repertory and your personal preference. We must underline the importance of choosing the right person to tune your piano. It is an operation which can only be carried out by an experienced technician with a discerning ear. The piano tuner must possess an officially recognised Diploma and should have developed skills in a workshop over a period of at least three years, tuning by ear several times a day. Just as important as these technical qualifications is the ability to listen to you, the customer, and understand your requirements. This operation requires real skills. The art of bringing into play the Craftsman’s personal tuning scheme to obtain from three separately vibrating strings one pure sound – Unison. This is what we expect. This is what we and our craftsmen are committed to. The piano works using a high-precision mechanism, and this underlines further the importance of using a qualified technician who will be able to bring into play a number of unquantifiable parameters to draw out of your instrument the best possible performance. Regulation is an operation that needs to be carried out regularly according to the frequency and intensity of your playing. A piano that is only played for one hour a day by a beginner will not need to be regulated as often as an instrument that is played three hours a day by an enthusiast with 15 years of playing experience. Besides the fact that regulation plays an important role in determining the piano’s action, or touch (heavy, firm, light, or perhaps spongy) – the sensations we feel as we play – we must not forget that the overall sound will also depend on it, too. 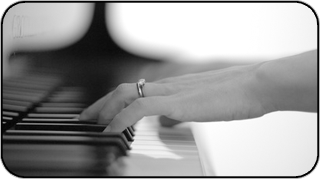 To complete our service, we can carry out voicing on your piano. This consists in balancing the sound of your instrument according to the acoustics of your room, which will vary with floor and wall coverings, and the amount and type of furniture – and above all, your own particular taste. Voicing is achieved by working on the felt hammers using various techniques: sanding, aerating using special needles, or making denser through impregnating. Our aim will be to get the “perfect sound” for you.